Summer is almost here. It’s upon us. The magazines are screaming. Roll up your sleeves and fire up the grill. It’s time to entertain! 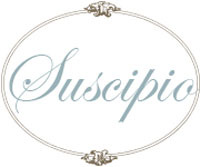 Please join me at Suscipio to read the rest.